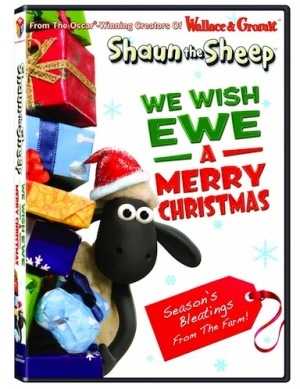 The series Shaun the Sheep ranks in the top five animated shorts on the Disney Channel. This DVD has a holiday theme that comes across well through actions and animation, minus the fact that there are no words! Title Copyright: ©2011 Aardman Animation Limited. All rights reserved. Shaun the Sheep (word mark) and the character 'Shaun the Sheep' © and ™ Aardman Animations Limited.